1 Year. 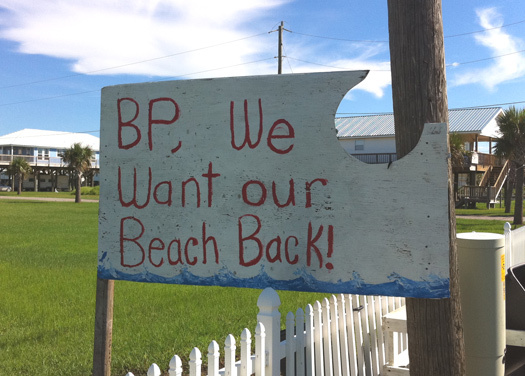 That’s how long it has been since BP’s Deepwater Horizon exploded and an immense loss of life ensued. 11 men lost their life on April 20, 2010. Many more lives would follow. Who can say for sure what the true tally of lost life really is? Last Summer, I had a sick feeling about what was occurring in the Gulf. I couldn’t believe what was happening. Even more unbelievable to me is how we are supposed to believe that conditions are anything close to ‘normal’ down there now. We don’t get to disrespect the ecosystem for months on end and get back to business as usual in less than a year. No, I believe that we need to own up to this severe insult to the system and realize we have done significant harm to our environment, our fellow humans, and other creatures that we share this planet with. As we reflect, let us ask ourselves if we’re ready to honor their sacrifice and take a real close look at the Deepwater Horizon disaster and why it happened. There are lessons for us all, if we care to listen. What does this bring up for you? Is this on your radar today? Are you ready to take action to reduce your own oil consumption? If so, here are a few tips to get you started. Help us continue the work by showing your support for our documentary efforts here. You really can make a difference in this story. Tomorrow marks the one year anniversary of the tragic loss of life and resources associated with the BP Deepwater Horizon oil spill. Although the oil stopped flowing into the Gulf waters last July, the impacts of the disaster are far reaching, and will persist for years to come. When we visited the local communities last Summer, we heard a variety of opinions and perspectives and we brought these together through blog posts, video interviews, and photography that captured the up-close and raw stories of affected communities. On Earth Day, Friday, April 22, I will be returning to the coast to check back in on the coastal communities and provide additional documentation on the ongoing impacts along the coast. If you are able to make a donation today to help the work, it would be greatly appreciated. Your support helps our ongoing documentary efforts and allows us to bring these stories to you in a personal, authentic way. Please consider making a donation using the button below, and follow along with us here on the blog, on YouTube, on Facebook, and on Twitter. Over the past week, I have been doing a lot of remembering; everything from what we saw and heard to what we felt and the emotions our expedition brought forth. 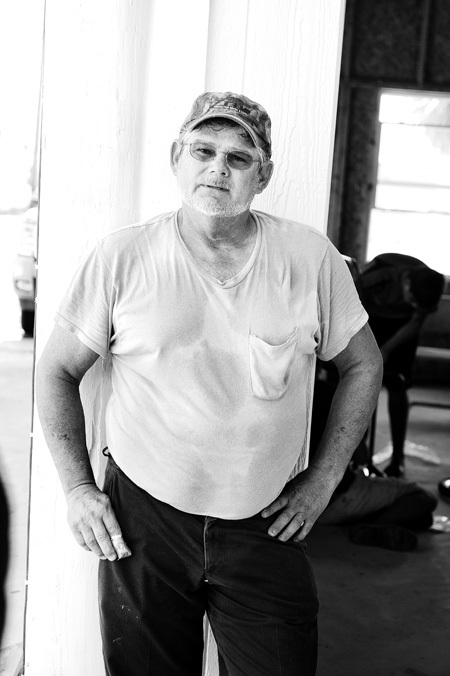 On Thanksgiving, I thought a lot about the people we met on our journey to uncover the truth about what happened along the Gulf Coast in the wake of the BP oil spill. I wondered what kind of holiday it would be for the people who have lost their entire way of life to this ongoing disaster. It’s so easy for the majority of the population to forget what happened in the Gulf, because after 86 days of non-stop media coverage, you have to dig pretty deep to find anyone talking about it these days. Let there be no mistake, the residents along the Gulf Coast are still reeling from this terrible situation. During our expedition, I wrote about the resilience that is characteristic of the people who live and work in this region, and what we are hearing now is that they are being pushed beyond their limit to cope. Earlier this week, NPR did a feature on a family that has lost everything due to the lack of work along the coast. The article talks about the impact that the inability to provide for themselves and their families is having on the locals. It’s a heart wrenching reminder of how devastating this whole situation continues to be. 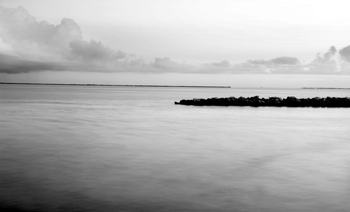 This is a culture that is no stranger to adversity; natural disasters and the loss of wetlands are some of of the ongoing threats that are part of the everyday reality of life along the Gulf Coast. 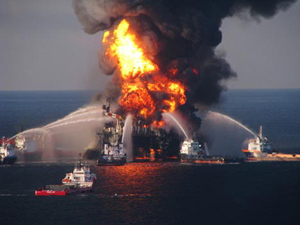 But when you throw in a massive man-made disaster such as the BP oil spill into the mix, it casts a whole new light on their ability to keep themselves afloat. This is something that the locals are largely powerless to fix, and therefore it continues to cause untold pain and suffering that is not easily understood. One person that is keeping this story in focus is Ian Somerhalder, who has been somewhat relentless is his focus on the impact of this disaster on the region that he calls home. His recent article on Huffington Post had me nodding my head in complete agreement, and it’s good to know that there are others out there that are trying to keep the focus on this community and its struggles in the aftermath of this tragedy. Ian recently started a foundation that I hope will be a source for good in the region. 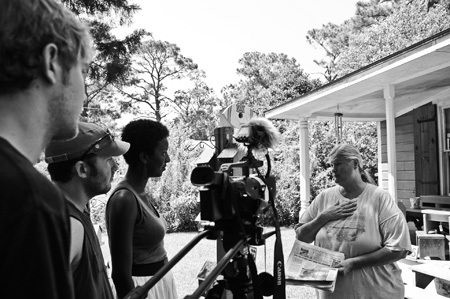 Our goal for Spirit of the Gulf Coast was to understand what was happening along the coast and allow these stories to be told in an unfiltered and personal way. The feedback from all of this has been incredible and there are rumblings amongst the team of a return visit after the new year. 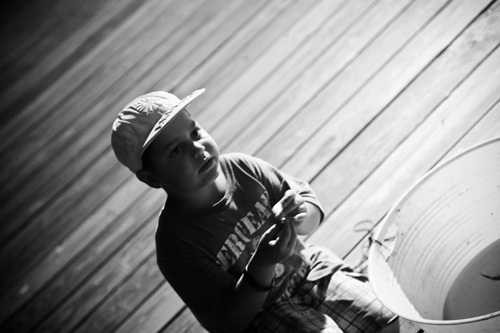 We’ve had a recent wave of support, and this weekend the photo exhibit is on display at the Stacks Lofts + Artists Tour. This has given us another opportunity to keep the conversation going and continue to spread the word about what we experienced on the coast this Summer. If you have not had a chance to watch the film we produced, it’s worth checking out. Feel free to post this to your own websites, blogs, etc. We want the stories to be told far and wide. Thank you to everyone who has been so supportive of our efforts. 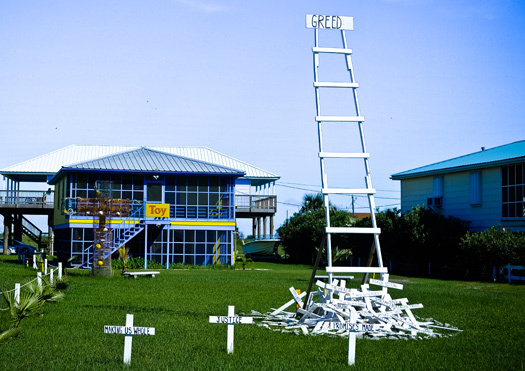 And please, this holiday season, keep those living and working along the Gulf Coast in your thoughts and prayers. This is when they need it most.